Michael Neeley, DDS, PA now offers an innovative laser gum surgery for gum disease treatment in Highland Park. With the computer-guided Laser Assisted New Attachment Procedure (LANAP®), Dr. Neeley treats gum infection with little discomfort and minimal bleeding often in just one visit. Dr. Michael Neeley Offers Laser Gum Surgery In Highland Park, TX. Michael Neeley, DDS, PA offers new hope to gum disease patients without the stress of a surgery that involves scalpels and sutures. Gum disease treatment in Highland Park now offers options such as the laser gum surgery called the Laser Assisted New Attachment Procedure (LANAP®). With LANAP®, Dr. Neeley is able to target the source of the gum disease and remove damaged tissue without harm to healthy gum tissue. The risks of gum disease are serious. If left untreated, the infection will deepen and go on to destroy more gum tissue, leading to gum recession, root damage and ultimately tooth loss. Beyond the continuing damage to the mouth, many studies have found connections between gum disease and other health issues such as increased risk of diabetes, pancreatic cancer and heart disease. With gum disease treatment in Highland Park, patients avoid the dangers advanced gum disease can contribute to. With laser gum surgery now available from Dr. Neeley, the answer to gum disease treatment is just one office visit away for many patients. The minimally invasive, FDA cleared laser procedure is proven effective and very quick. Be back to regular life activities later in the day in most cases after LANAP® gum disease treatment. Call Dr. Neeley's office at (214) 306-9033 to learn more about how gum disease treatment in Highland Park can change lives with improved oral health that contributes directly to overall better health. Explore the options available in laser gum surgery and other dental services available, on the web at http://www.dallasdds.net. Michael Neeley, DDS, PA, is a general dentist offering personalized dental care for Dallas, TX gum disease patients. Dr. Neeley is part of one percent of dental professionals providing the LANAP® FDA cleared laser procedure for gum disease and periodontal treatment. 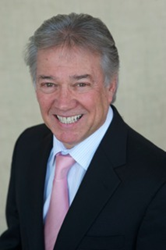 To learn more about Michael Neeley, DDS, PA, and his dental services, visit his website at http://www.dallasdds.net and call (214) 306-9033.